Contemporary students often lack a vision for their future and discerning what God is calling them to. We find, especially in the later years of their studies at Sequitur, students and parents are looking for direction and dialogue concerning classes, college prep, dual enrollment, and a student's vocational future. We would like to provide a forum where we can offer good counsel and materials to our parents and students, as well as discuss Sequitur's role in your child's life as they near the end of their grade school studies. 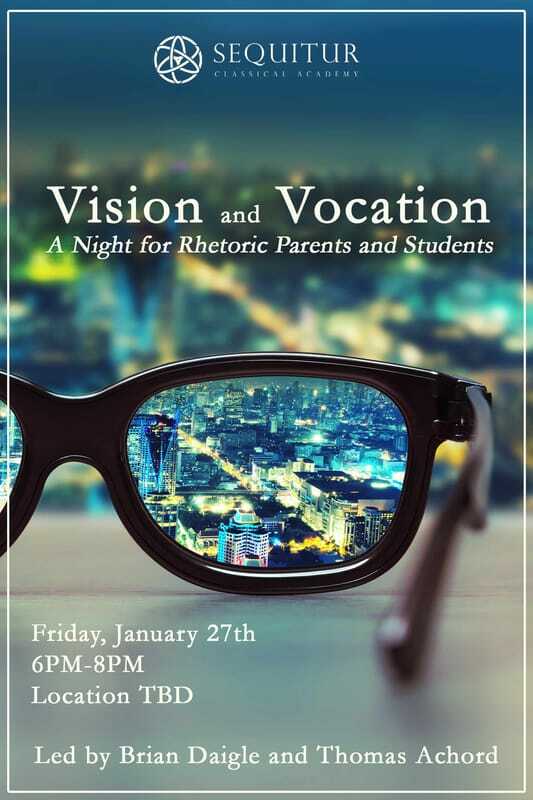 To that end, we will be hosting "Vision and Vocation: An Evening for Rhetoric Parents and Students." Is college right for us? This meeting is for current Sequitur families.